One of Westport’s oldest and most beloved businesses is closing. This time, it’s not because the rent is too damn high. 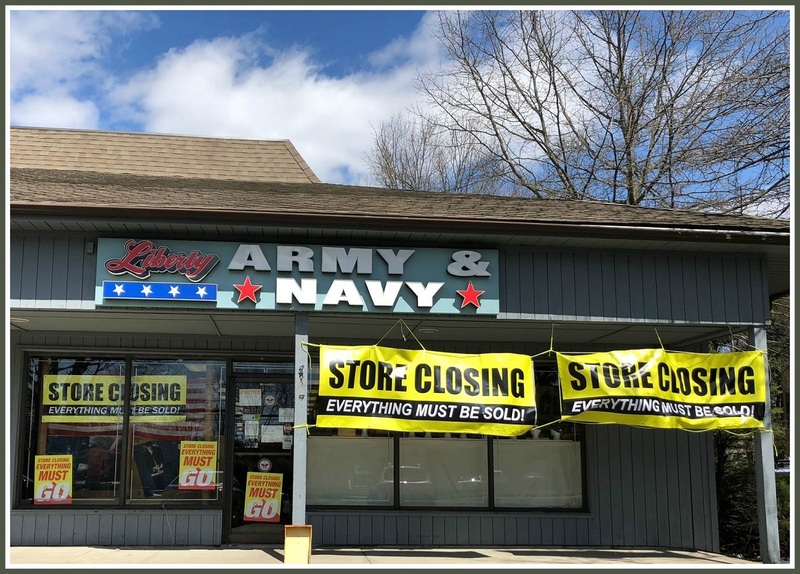 Liberty Army & Navy will sell its last jeans, Boy Scout uniform and camping gear at the end of May. It’s been here since the early 1970s. Now it’s time for Eve Rothbard — the longtime owner, who took over from her father — to retire. She carried on a long Army & Navy legacy. Her parents, Hank and Julie Mayer, started the store on Bridgeport’s East Main Street in 1950. The store quickly outgrew its space — even after a renovation. Mayer bought a vacant lot a couple of hundred yards west, and built a new Army & Navy. His 3rd store was in Stratford. After he closed his Bridgeport location, he opened in Norwalk. Eve had begun working as a kid in Bridgeport. She and her sister Iris came to Westport in the early ’70s. When Iris retired, Eve became sole owner. Liberty Army & Navy owner Eve Rothbard, in her well-stocked store. For 20 years, manager Jennifer Talapa has been by her side. And for nearly 50 years, Eve says, the formula has been the same. She knows her customers by name. She provides great service. Prices are fair. “Quality and service equal satisfaction,” she says. Some things have changed, of course. Online commerce has siphoned off some customers. There’s less surplus goods, more well-known brands like Under Armour and Merrell. She has no definite plans, beyond relaxing. And not getting up early to make 7:30 a.m. deliveries. The interior of Liberty Army & Navy: familiar to generations of Westporters. Loyal customers were stunned by the closing news. But, says Eve, they’re understanding. Eve knows there are few options — particularly for men working in Westport. “When their feet get cold or wet, they come right here,” she says proudly. She wants her customers — and her many other accounts, like construction companies, utilities and Boy Scouts — to know how grateful she is for their many years of support. That was her final message. But as I walked out the door, a man walked in. “Thank you for being here,” he said. This entry was posted in Local business, People and tagged Eve Rothbard, Liberty Army & Navy. Bookmark the permalink. The Army Navy store I remember was on Main St just east of the bank and next to Guggenheim’s model train and toy store. Spent a lot of money there in the late 60’s. Little did I know in ’72, Uncle Sam would give me all the green I could use! 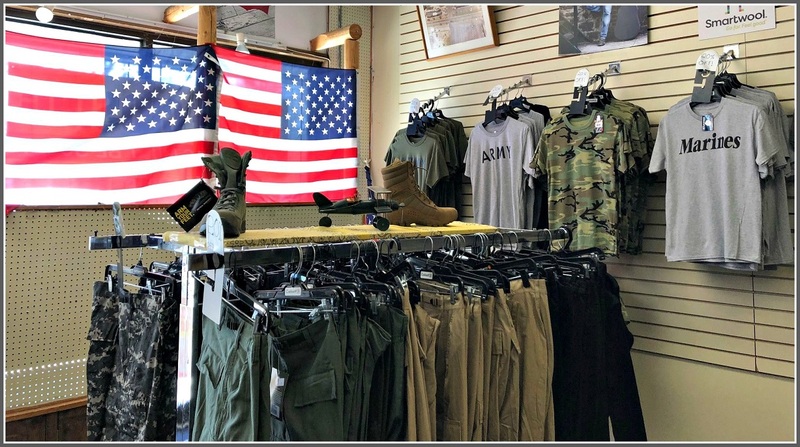 I don’t remember a Main Street Army & Navy store. There was one on the Post Road, directly opposite the old post office (now Design Within Reach). It was not related to this one, a couple of miles east. Dan – I might be mistaken, but I think the name of that shop was B and G, army and navy. Congratulations and thank you to Eve for the almost 50 years of operations and good luck on the next chapter of your life! But Dan, are you sure it’s not the rent, or at least real estate values, this time as well? Here you have a successful 40+ year old retailer with considerable customer goodwill that presumably could be sold to someone else. There are folks that do buy successful retailers. Maybe even the Mitchell’s letting them expand beyond high end to the mid-market space. High customer satisfaction is their hallmark so this sounds like a fit on that front. Even if not them, I’m sure there are other buyers at some price. Perhaps the owner (or Mitchell’s) hasn’t thought about that, in which case I’d encourage her (them) to do so. I’d hate to see the loss of another local retailer. I’m guessing, however, that the owner has concluded that she can sell the property for more than she can sell the business and/or the rents she could charge for the property are greater than the profits from the store leaving little for a new retail owner. If so, the market has spoken and no one should begrudge Eve her decision. However, if that is the case, it sort of is the rent. Eve’s father sold the building a while ago. The current landlord, Eve said, is “fantastic, great, wonderful” (she did not want me to name him, however). This is not about rents. She did look into selling her business. However, she said, “it did not work out.” I did not press for details. This was a great store. I’ve raised three kids in Westport, who are all grown and out of the house now, but whenever one of them needed something either quickly or a little bit unusual – like a pair of boots for a camping trip I didn’t hear about until the day before – Liberty was always the first place I came. They seemed to have anything under the sun squirreled away in that store somewhere, and the people always cheerfully took the time to find it, and in the right size. Not many retailers do business that way any more. I wish they didn’t have to close, but thank you, Ms. Rothbard, and my entire family wishes you well. Unfortunately I get the sense that at least for Westport the ongoing loss of local business owners will not see like replacements in the foreseeable future. The change is good mantra has a very uncomfortable feel! 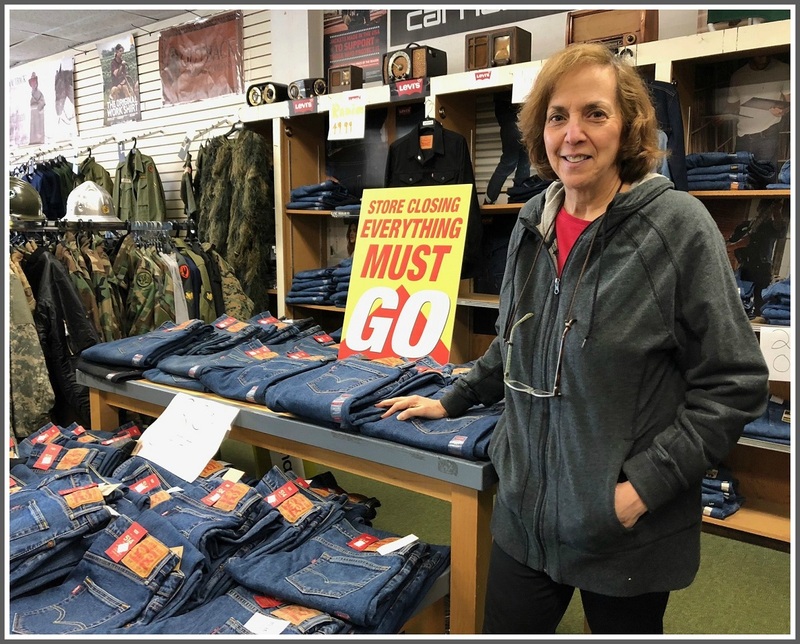 It’s too bad but it sounds like she wants to move on….she’s earned her “retirement”… Before Liberty I used to buy my causal clothes at Richards at Westfair…(closed in the 70s?) They’ll be missed for sure….good luck to them..